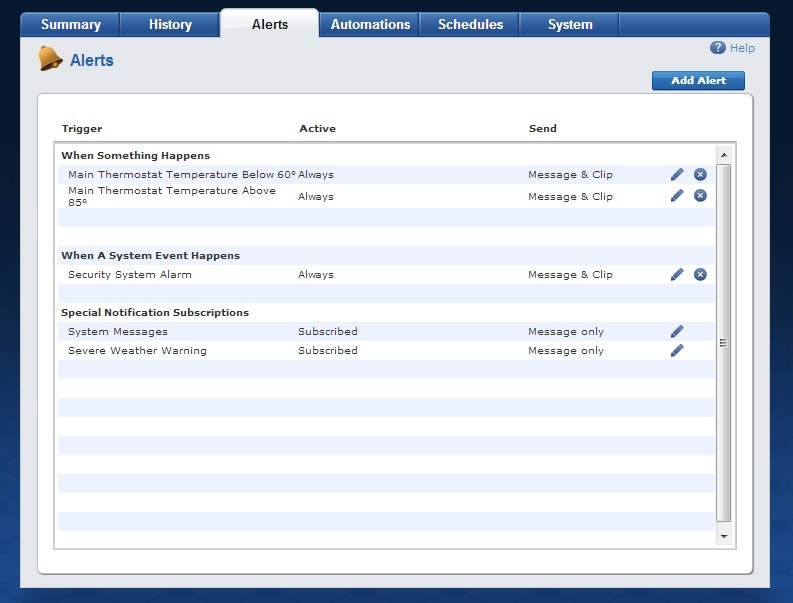 Customers can now be alerted by their ADT Pulse service when a tornado, fire, tsunami, or flood warnings are headed their way. ADT has launched Severe Weather Warning alerts that provides customers advanced warning of potential damaging and life threatening weather conditions. The National Weather Service provides this information and ADT is now providing the alerts to customers when a severe weather warning is issued near their home or business that has ADT Pulse. In order to add this you need to go to the Alerts tab and under the special notification subscriptions you click on the little pencil and select subscribed and then save. Vivint, a competitor of ADTs, started using severe weather alerts in the spring of 2011 and has had numerous life changing stories because of it since. You can watch the story of how the severe weather alert saved a womans life in the Joplin tornado here. I am sure there will be many more lives saved as people with ADT Pulse add this to their alerts.